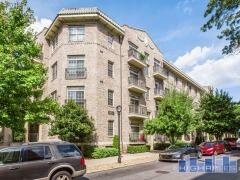 The Charles is a brand new condominium high-rise situated across from the Buckhead Theatre. Named after the Loudermilk family who were instrumental in developing the area, The Charles is home to 57 luxury units averaging 3,000 square feet. Listing information last updated on April 19th, 2019 at 11:45am PDT. Have any comments or questions about The Charles? Ask your question and/or share your thoughts about this Building. I'm looking to obtain a price list and floor plans as I am potentially taking a finance position in Buckhead. I would be moving from Canada. will be moving from Chicago .